Ambrosia bittersweet chocolate coatings provide an irresistible glaze or shell to any dessert. With just the right blend of rich cocoa and a touch of sweetness, these bittersweet chocolates pair perfectly with the most subtle or exotic flavors for the ultimate indulgence. 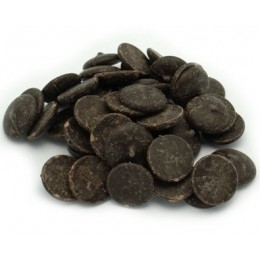 Royal Wholesale makes it easy to shop and order Ambrosia bittersweet chocolate coatings to add the perfect finishing touch to your ice cream, cookies, muffins and more. We believe that everything tastes better covered in chocolate, but only the finest quality chocolates will do. For a deep, intense flavor from a company that knows bittersweet chocolates best, order our Ambrosia chocolate coatings today.